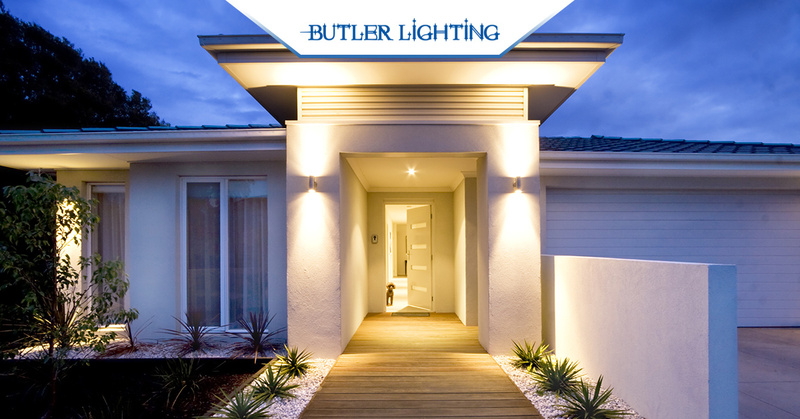 When it comes to outdoor lighting in Greensboro, your team at Butler Lighting is here to help you make the exterior of your home just as inviting as the interior. The right lighting can go a long way in creating a beautiful outdoor living space and will greet your guests with an added touch of ambiance. If you are thinking about investing in new outdoor lighting fixtures, we invite you to visit our showroom soon. We can discuss your design plans and help you find the perfect lighting solutions for your needs. In the meantime, check out these four fun outdoor lighting ideas that are all a must-try. When you want to give your home added evening curb appeal, one of the best places to begin is with a stunning doorway feature. Whether you choose something ornate or something modern, a new doorway light can turn your older home into a masterpiece. In contrast, when you have an old and unimpressive light flanking your door, you can detract from the very first place your guests see. Opt for two matching lanterns placed alongside your doorway for a larger porch. Choose a smaller and simpler lighting fixture for a cozier entrance. Upgrading the lighting fixtures by your door will go a long way in creating a more beautiful entrance for your family and friends. While we often think of outdoor lighting as something that simply serves a purpose, such as keeping your front doorway illuminated so you can unlock the front door, outdoor lighting can also be used to add beauty to your landscaping. If you have a beautiful garden with winding walkways and unique features, make the most of it by adding lights throughout. Tall hanging lanterns make an excellent choice for gardens. You can also utilize lower to the ground lights for keeping pathways safe to travel as your guests make their way through your illuminated garden. Need a little extra light over your outdoor eating space? Have you thought about adding a chandelier? If not, this can be a fun addition to your home’s outdoor living space. While you might think of a traditional chandelier, meant to hang above a formal dining space, there are numerous funky, fun, and otherwise unique chandelier options on the market. Choose something that will provide your outdoor living space with an extra touch of flair. 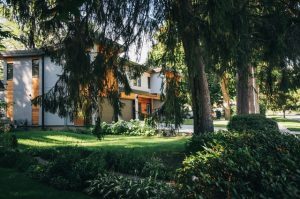 If you are lucky enough to have old growth trees in your front yard, make the most of these gorgeous landscaping features with bright lights. By adding ground spotlights underneath your trees, you can light up the whole tree, including the beautiful trunk. Lights will play on the textures of the tree’s trunk and branches, leaving you with an awe-inspiring front yard feature. Want to try out one of these four fun outdoor lighting features? 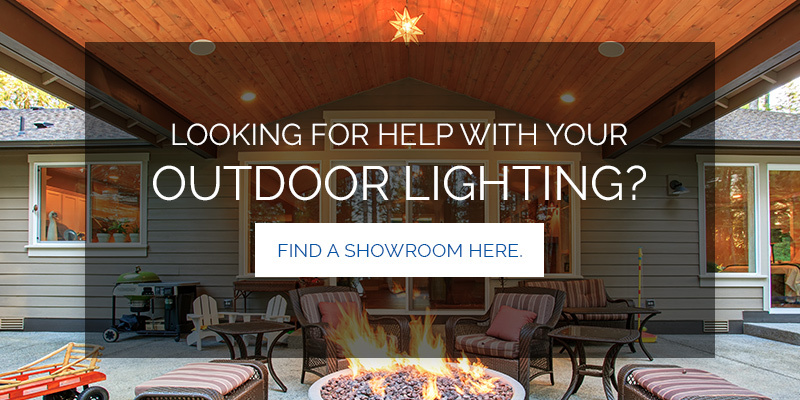 Stop by our lighting showroom in Greensboro or a surrounding location today to learn more about how we can help you design the perfect outdoor lighting for your space.